2 Phenylphenol is a general surface disinfectant used in domestic, medical, agricultural, commercial and industrial premises and particularly food processing plants. 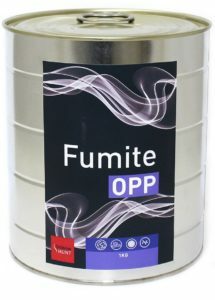 Why use Fumite™ OPP smoke generator? Fumite OPP is a dry smoke disinfectant, which is effective against bacteria, mould, virus and yeast. As the smoke disperses the active ingredient comes into contact with all surfaces in the room and thereby treats both surfaces and air. Reduces airborne and hidden contamination sources which will prevent recontamination. Allows disinfection of surfaces without any corrosion risk. Provides disinfection of surfaces in production and storage rooms without requiring subsequent rinsing. Where to use Fumite™ OPP smoke generator? The use of Fumite™ OPP Smoke Generator may be subject to local regulation and a registration may be required. Please check with your local authorities or contact us to know more about the registration in your country. 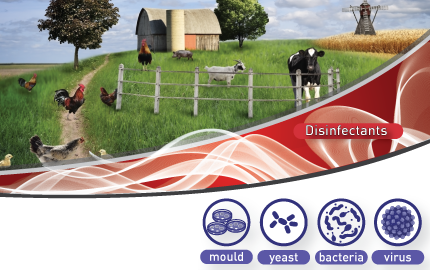 Registered in the UK as surface biocide under COPR.